Bainbrook Brown granite is quarried in Brazil and China and imported directly by the low price granite countertop company, GCW. It is a medium beige-brown color and is composed of brown and pink tones, mixed with an array of tiny white, cream, grey, and black mineral deposits. It features very consistent colors, tones, and patterns with little variation. When combined with a light kitchen cabinets, the brown really stands out and creates a grand effect. When combined with light wood stained cabinets, a Bainbrook Brown countertop fits in naturally and ties the whole room together. This combination gives a kitchen a cozy or vintage feel to it. When you have cabinets that are stained darker than the brown granite countertop, the granite is accentuated and very intense. It really accentuates the stone making it a focal point of the room. 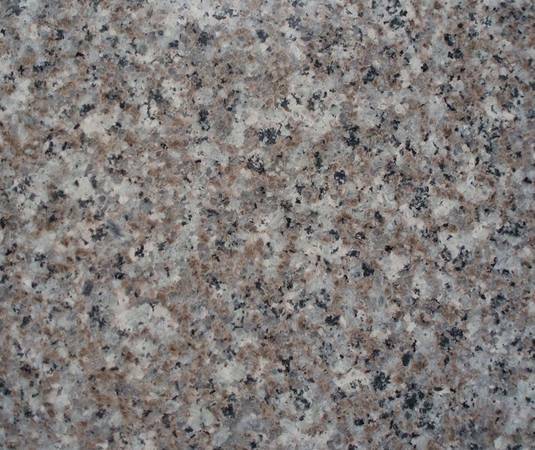 Because Bainbrook Brown is a very versatile colored granite it complements a wide range of kitchen cabinets and decor. At Granite Countertop Warehouse we stock the latest Bainbrook Brown. at discount granite prices, for kitchen counter tops, bathrooms, or any other area of your hone or business. Reserve your slab today!